If you want to become efficient at anything in life, it’s likely you’ll need some education to get you where you want to go. To ultimately gain success with your article writing and marketing efforts, you’ll need to be conscious of the fact that your readers are reading your articles to acquire knowledge in your area of expertise. If you make this your #1 goal, everything else will fall into place. Your readers won’t view you as an expert, nor is it likely you’ll earn their trust and build credibility, without transferring valuable knowledge to them. Use Bullet Points or Numbered Lists – It’s much easier for your readers to digest information if you give it to them in smaller chunks and break it up. Write Evergreen Articles – Evergreen articles stand the test of time and are relevant well into the future. Time-sensitive articles like “Top 10 Computers of 2011” lose value once 2012 rolls around, and then becomes stale quickly. Focus on Your Audience – If you focus more on selling your audience rather than delivering value, it’s likely you’ll lose your audience. The body of your article is your give, and your resource box is your take. Save the selling for your Resource Box. Properly Format Your Articles – Take the time to make your articles visually appealing, free of all grammatical errors and have plenty of white space. Like it or not, your readers are likely to tie your level of expertise into how your articles look and feel. In order to acquire knowledge, you have to want it AND it has to be accessible. With that in mind, we’re making The EzineArticles Formula more accessible for you. 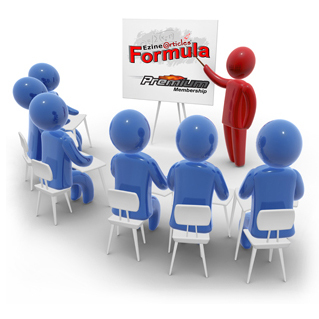 We’re still offering the same quality education inside of The EzineArticles Formula with one small change. Once we’re finished retooling, you’ll have the ability to enroll year-round! Not only that, we’ll be releasing a home study version of The EzineArticles Formula, as well. More details will come soon on both of these exciting opportunities! These are some really good points. When I started out I did not do all this, now I try to incorporate these points in my articles. High quality advice, thanks. I’d not thought about the evergreen articles angle, as for my business the law changes each year. Thanks for the tips. I am still a newbie and have a lot to learn. Great Advice! Tons of people can use the advice on grammatical errors. For me when reading articles, grammatical errors are a sure way to get me to go on to the next one. As far as writing, there is a built in spell checker and I always read my article before submitting! Excellent commetary, I for one 100% agree.